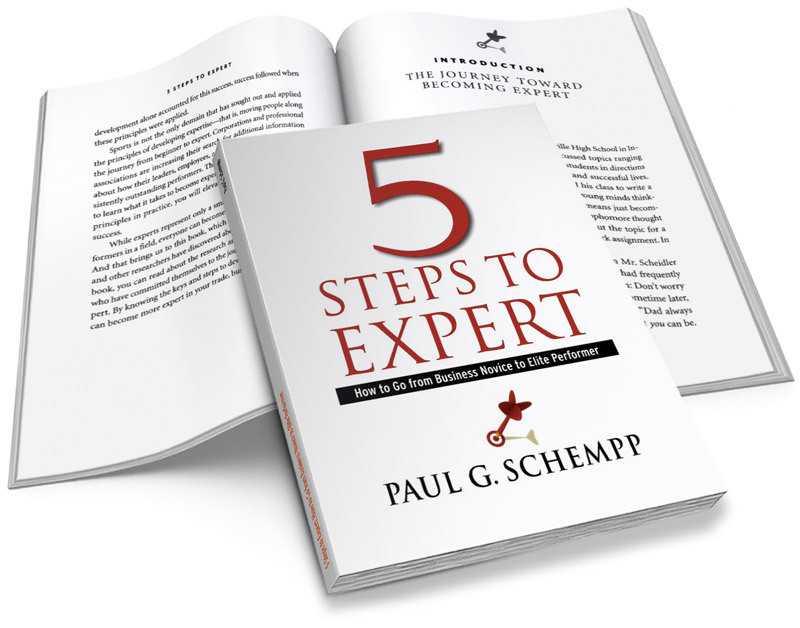 Dr. Paul Schempp’s ground-breaking research on expertise has made him a much sought after keynote for professional associations and corporate conferences committed to improving performance. As the author of numerous books and articles on elite performance, Dr. Paul is highly renowned as the expert on developing expertise in business, sports and life. 5 star book rating from Amazon! Read customer reviews and learn more about 5 Steps to Expert on Amazon. In Stock. Available New and Used in hardcover from Amazon. Every elite performer–from Tiger Woods to Richard Branson–begins their journey to mastery at the beginning: establishing a set of deliberate practice activities that are tightly coordinated and focused sequentially on improving specific aspects of performance, one step at a time. Drawing from the latest, breakthrough research of the characteristics that define expert or elite performers, 5 Steps to Expert provides a detailed roadmap for anyone who aspires to advance from their present level of competence to a higher level of performance and the leaders, managers, and HR coaches charged with improving individual competence and organizational competitiveness. Read more customer reviews about 5 Steps to Expert: How to Go from Business Novice to Elite Performer on Amazon.